Xebee is a medical records company with more than 12 years of experience collecting records across the nation. They wanted to update their static website to a dynamic platform that allowed their customers to log in and view their medical records. 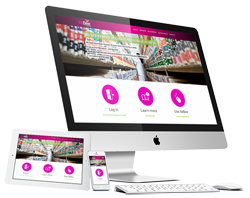 Great Custom Websites created a WordPress brochure website that connected their employees and customers to its online database for improved customer service. In addition, we created a secure platform to keep all of their medical records safe. A completely new customer login platform that is 100% secure and HIPAA compliant.